The caption says this is V45 (a.k.a. PK+QP), although little proof of the identity can be seen. 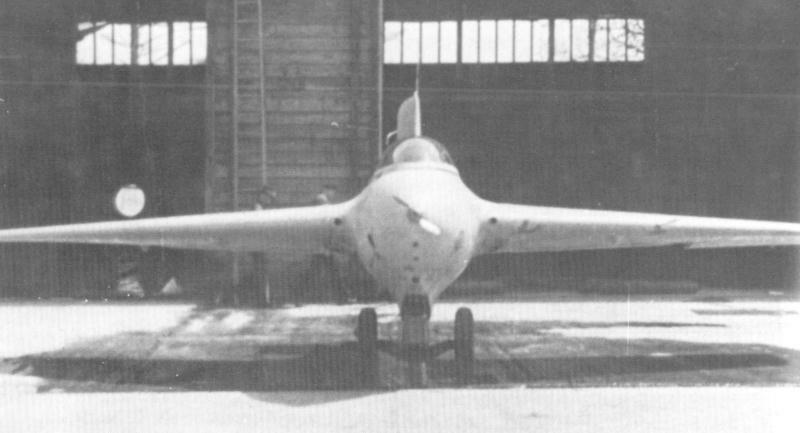 It clearly shows that PK+QP lacked the small air intake in the front edge of the canopy, that would be one of its identification marks later. Note how high the Komet rides on its take-off dolly when the skid is lowered completely. Normally the skid is almost retracted when the dolly is attached.